with a fine green dust. “She loves me,” he sings. The next day Cairo arrives. Patrick Pfister is the author of two books of travel literature: Pilgrimage: Tales from the Open Road and Over Sand & Sea. 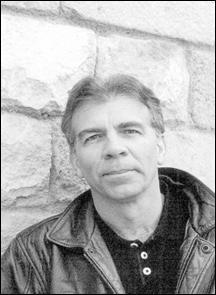 His work has been selected for several Travelers’ Tales anthologies, including Best Travel Writing 2007. His poetry has appeared in numerous literary magazines such as Pearl, Juked, flashquake, Chiron Review and elsewhere. For the last twenty years he has lived in Barcelona, Spain. Visit his website at www.patrickpfister.com.